You might not think there is that much you can do to improve on the four-legged bar stool. But with the Beaser, we’ve taken a simple utilitarian object and added aesthetic and ergonomic elements to create something that is both reassuringly familiar but surprisingly different. 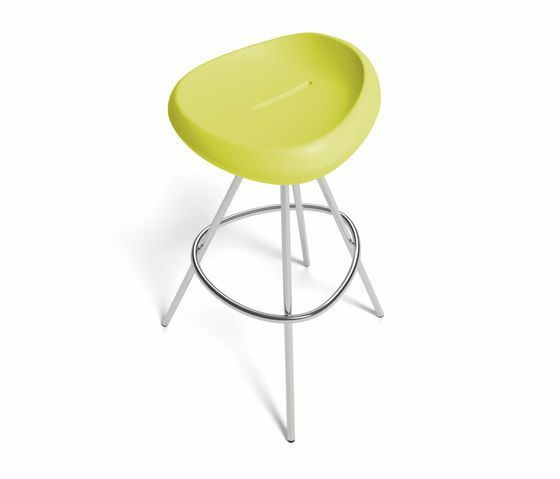 Of course, above all, a bar stool should be comfortable. That’s why the Beaser provides just the right amount of support for your lower back, without being confining. We tested it out on every sort of body shape we could find – big and small, short and tall, and everything in between. And our subjects all agreed – it’s a winner! As for the aesthetics, we took the themes of our Seaser lounge chair and Teaser side table and tweaked them slightly to achieve just the proper balance of organic forms and dynamic tension. Not to mention durability and functionality. So the Beaser – made of moulded, weather-resistant polyethylene and brush stainless steel, is well-suited for both outside and inside use – at a poolside bar, around a high table, or – it goes without saying – in a more traditional setting. Our products have just the right mix of beauty, elegance, and functionality — a blend of contrasting, distinguishing, distinctive design elements.